The Insect Doctor is a video redemption arcade game in which players must try to catch buggy characters using their gun tube. This game board can upgrade your original fish machine and give you another gaming experience. Insect Doctor features High-Definition graphics which display the beautiful and detailed nature scenes well on a large LCD monitor, and also features 16 different types of insects and 7 kinds of powerful special weapons to catch them with. 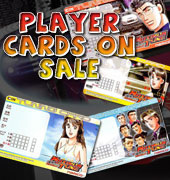 Its’ exciting, yet simple game play, has made it popular among operators and players alike! The game controls are very simple: each player has one joystick to direct the gun tube, a SHOOT button to shoot their weapon, and a Raise Bet button. These simple controls make the game easy to understand for players of all skill levels. To play, simply insert a coin via the hopper, then select your bet by pressing the Raise Bet button. Now the game will start and players must aim using the joystick and press the SHOOT button once they have lined up a target. Auto Attack, which can be accessed by pressing the SHOOT button down for 3 seconds. Aim Attack, which can be accessed by holding the joystick downwards for 3 seconds, and once launched press push up or down to select the worm you’re aiming for. Using your special weapons will win you huge rewards – simply aim at your target worm clusters, launch your weapon and if you are lucky you can catch buggy characters with values that range anywhere from 3-100 times multiplier! 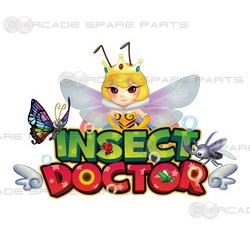 The Insect Doctor Arcade Game is an exciting video redemption arcade game that is fun for players of all skill levels! 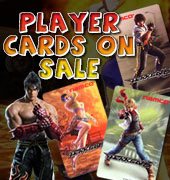 Perfect for upgrading your 8 player fish game arcade cabinets.